With the healthcare landscape going digital, from medical research to medical practice, there has been an explosion of new technologies and new possibilities. The digital transformation has enforced health organizations to incorporate advanced electronic medical practice management solutions and upend the way medical professionals operate. The Comprehensive scheduling feature that comes stacked with patient records helps in streamlining appointment procedures that significantly adds to the convenience of both patients and practitioners. Integrated clinical databases and workflow, in-built modules like Electronic Health Record (EHR) and Electronic Medical Record (EMR), the usage of APIs, automated medical billing and reporting, revenue cycle management are some of innovative practices, which are being widely used. Advanced accounting features keep inventory counts, financial reports, and payment information updated and accurate without having to permit unnecessary access to sensitive financial data. HIPAA compliant messaging apps are gaining ground as health practitioners are gravitating towards mobile devices to analyze patient data and securely communicate with fellow physicians and other ancillary staff. Secure cloud-based software with built-in features is being employed to ensure that providers follow best practices to keep proprietary patient data fortified. With over hundreds of Medical Practice Management (MPM) Solution providers in the industry today, finding the right solution is often critical for businesses. 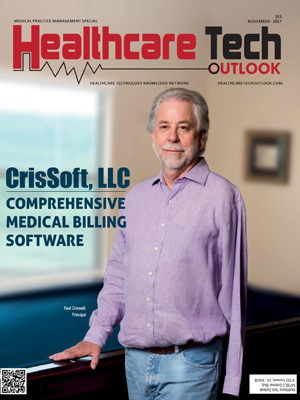 After a thorough analysis of Medical Practice Management solution providers in the past few months, our distinguished panel comprising of CEOs, CIOs, and analysts, including Healthcare Tech Outlook’s editorial board has reviewed and selected top 10 companies in the Medical Practice Management domain. In our selection process we have evaluated a vendor’s competency to provide efficient as well cost-effective MPM solutions and who are at the forefront of tackling the challenges of MPM technology.